The Mega Tiny Corp team are the evil geniuses behind creating this crazy anti-gravity iPhone case. It can attach to virtually any flat surface including walls, mirrors, windows, whiteboards and most of all day to day surfaces. Enjoy hands-free selfies, shots, videos, music and much more. 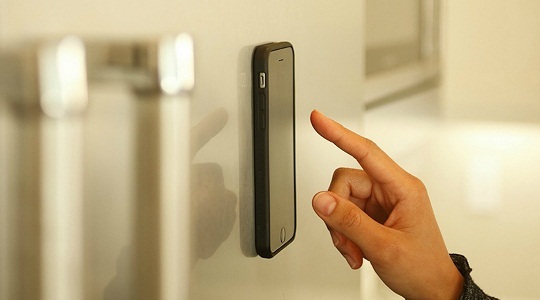 Designed with amazing Nano Suction Technology, this anti-gravity iPhone case literally sticks to any wall. The pack includes four backplate covers. One of the top rated iPhone accessory holiday gift for iPhone lovers. With spent over years making this tiny device perfect, Mega Tiny corp has done fabulous work creating this masterpiece. Just be aware of other cheap similar products which might put your costlier gadgets to a danger of breaking due to weaker bonds.